There are countless beauty, fashion, dating and advice blogs out there. I read a number of them when I have the time. I enjoy reading about the latest fashion trends, beauty products and stories related to women, and some hard to broach subjects. I started a group and blog with a friend of mine and have a great time writing posts that are fun, helpful, health-related, and pertaining to my own or friends experiences. Some topics are heavier than others. It is such a fantastic outlet to write and share. I don’t claim to be the best writer on the net, but I do love to write from the heart and with a touch of humor. I hopefully make those who read my posts, relate, think, learn something new, and laugh along. I have a few friends that will be joining in from time to time as guest bloggers… and I continue to evolve and expand into topics that touch or inspire me. I hope you follow it and share your thoughts. 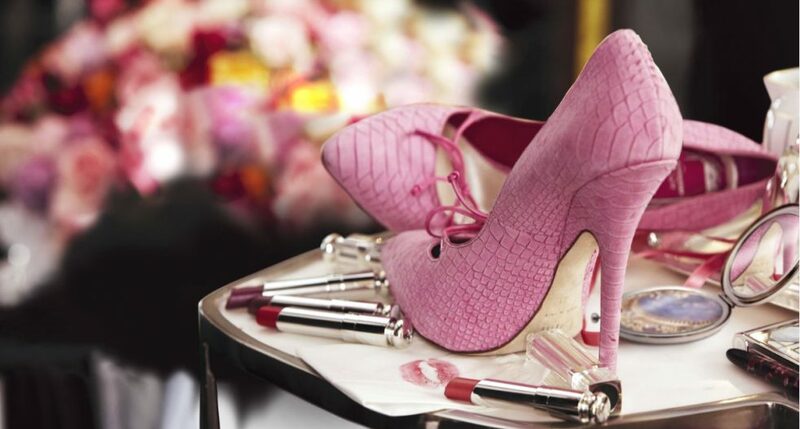 GINA CAFASSO is the created the blog, Lipstick, Shoes, Men and Other Pointy Things in 2014. She is the Co-Founder and Co-Host of the podcast, Two Fab Femmes. She has a Bachelor’s of Arts Degree in Sociology from UCLA and garners over 18 years of experience in marketing, advertising, project management, multimedia, music, film production and more. She is an optimist by nature, sometimes skeptical, and an opinionated Blogger/Podcaster with a penchant to empower others. She is a nose to the grindstone, even-tempered, Italian gal who is sensitive, logical and always curious. Growing up as a dancer, the arts have always been at the forefront of her life. She picked up an interest in storytelling, writing short stories which lead to co-writing screenplays and songs with her brother Joseph. She worked as a crew member on a number of feature films, is an award-winning short film director, and co-hosted WSRadio’s online movie review show “Movie Mavens.” When she is not writing, podcasting, hanging out with family & friends, or sleeping, she works as Project Manager/Business Analyst for a San Diego-based Resort company working alongside the Strategic Solutions team. A native of California, she enjoys sunsets, long walks on the bea…and sarcasm. Gina has had the pleasure of working for some high-profile companies such as Yahoo!, DreamWorks SKG, Disney, Sony Computer Entertainment Inc., AKQA, and the San Diego Union-Tribune. Amy Rauch has a Bachelor’s of Science from the University of Phoenix and is a Certified Personal Trainer through the National Personal Training Institute and the National Academy of Sports Medicine. Amy is also a Certified Special Populations Specialist through the National Strength and Conditioning Association. Amy’s specializations include Aqualogix instructor, REVO2LUTION RUNNING trainer, Nutrition, Advanced Dietary Supplementation and working with Upper Body Injuries. Amy became a true athlete for the first time at the ripe young age of 38. Because of her late start, Amy understands the physical and emotional challenges present in starting on a new path and wants to use that knowledge to help others as they begin their own journey. Amy has experience working in a variety of environments including military, firefighting, and special education. In addition to programming sport-specific resistance training, Amy enjoys teaching strength, balance, and flexibility as well as helping people meet their weight loss and general fitness goals. Sh ari Grande holds a Master of Social Work (MSW) from the University of Southern California and is a graduate level certified Parent Coach from the Parent Coaching Institute (PCI)® through the Seattle Pacific University. She is passionate about Learning Differences and Special Needs. She has a ‘Ph.D.’ worth of education attained from parenting her own children, one of whom is Autistic the other has Dyslexia. As such her area of expertise originates from years hands-on experience assisting parents with children who have been diagnosed with a learning difference and/or special need. She is familiar with special needs parenting challenges, both personally and professionally. Her personal journey has strengthened my passion for advocacy and led me to channel my skills into a career supporting parents open to collaborating, so she may work for the best outcome for each child and family.